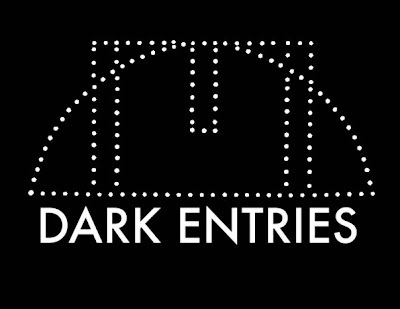 Dark Entries was born in the spring of 2009 to release out of print and unreleased underground 80's music as well as contemporary bands referencing that sound. The project was named after the first Bauhaus' 7" and the man behind this project was Josh Cheon, a vinyl-focused DJ and collector. Dark Entries takes great care in preserving sound quality and respecting the aesthetics of its artists. All of their releases reflect the DIY days of the 1980's independent record labels. The label entrusts all of their projects with the best engineer in California, George Horn at Fantasy Studios, who has remasters each release using his 50+ years of knowledge in the industry. The label founder Josh Cheon has had a rich musical background and music was always part of his life. He grew up in New York, enjoyed the dance in the clubs with dark synthesizer driven sound. He was working for several different record labels and radio stations and when he moved to San Francisco he started a night called 'Radio Lines' at the Transfer. Sharing the decks with another avid minimal synth collector, Phil Mailer who ran the blog 'A Viable Commercial', Josh learned about the band Eleven Pond, whose debut LP was going for $500 on Ebay. Luckily Jeff Gallea from Eleven Pond left a comment on the blog post: “If people are interested in a re-release I would love some feedback? I’ll dust off the Masters and see what could happen?” Josh contacted him and eventually obtained a copy of the master tapes, had the songs remastered for vinyl and released the LP in July 2009 with a silk screened cover like the original LP had. This is how things stated to roll on Dark entries Records. From its foundation in 2009, the label has reissued music by artist such as Dark Day, Second Decay, The Neon Judgement, Parade Ground, Starter and many more and released new material by Linea Aspera, Inhalt and many more.